Montenegro tourism goes from strength to strength each year, but is really just hitting its stride. Click here for Montenegro tourism facts and figures. 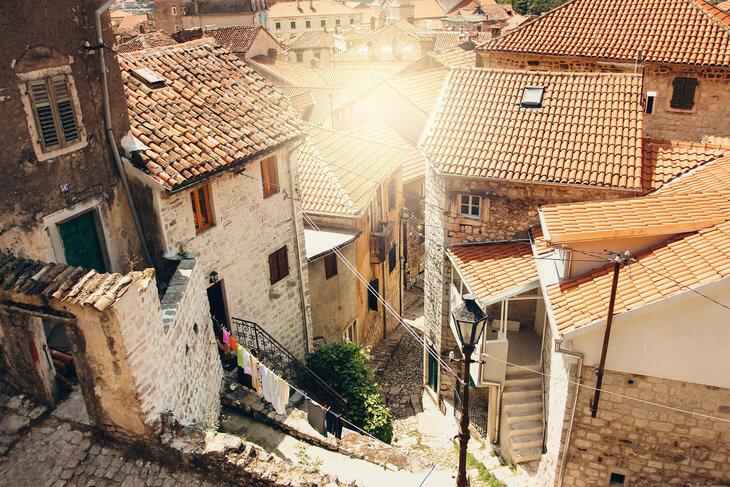 In the past, while neighbouring Croatia was a tourist mecca for foreign tourists, Montenegro really served the ‘domestic’ or Yugoslav tourist market. Most of the tourists coming here were from Serbia or the rest of the Balkans. Since its split with Serbia in 2006, Montenegro has also been increasingly popular with foreign tourists from all over the world. The country has been actively promoting itself as a high-end destination – complete with luxury villas, super yacht marina and billion dollar property developments in the works. 1. Montenegro is still a developing country. 2. When you come to a ‘new destination’ like Montenegro, expect a few quirks! Let me explain the first point first. Montenegro is still developing in the sense that since the fall of Yugoslavia and Montenegro’s independence in 2006, there’s been a lot of work to do to bring the country up to European standards. And that work is still in progress. The country’s been gifted with stunning scenery and natural beauty – gorgeous coastlines, dramatic mountains, canyons and all topped off with a moderate, Mediterranean climate. But around each corner, on the beaches and filling up the rivers you’ll find evidence of our garbage problem. Lustica Peninsula is an awesome place to get away from it all and find some peace and solitude on holiday. But don’t be too surprised if the power goes out for a couple of hours during a storm. The scenic roads along the coast have stunning sea views as you drive along. But it’s likely that at some point during your holiday you’ll come across delays, potholes and some dodgy-looking gravel roads. Expect a few quirks on your holiday... they make for good stories when you get home! My dad came to visit and being a big seafood fan he tried a few nice seafood restaurants. Also being Chinese, he has a habit of nodding his head in thanks. So when it came to paying his bill he handed over his cash and bobbed his head. Fast forward to 10 minutes later and the waiter still hadn’t returned with his change. It turned out the waiter thought his head bob indicated he should keep the change because that’s how a local or Russian would say it, meanwhile my dad was railing about the cheek of it! It was just a cultural misunderstanding and the waiter was very embarrassed. Not having come across many Asian tourists before, he didn’t know their mannerisms. And this happened to him TWICE! He soon learned to pay without the nod! So if something like this happens to you, just remember that it’s probably a misunderstanding that’s fairly easy to clear up! You see, as I mentioned earlier, Montenegro tourism has mainly been based around Balkan tourists and the tourism sector has been used to catering to these people and their expectations. So local hospitality providers are still learning about Western tourists and how to serve them best. Having said that, I believe there are few countries in the rest of the world that would rival the Balkans for true hospitality, warmth and honesty. So if your waiter/supermarket clerk/receptionist doesn’t greet you with a smile, don’t worry… it’s just a sign that they’re taking you seriously. If they (sometimes annoyingly!) refuse to believe you really don’t want a plastic bag and put your single item into a plastic bag, it’s just because they’re trying to be helpful. Although some of these things might put you off in the beginning, if you understand that it’s only custom and inexperience with western tourists that are behind them, they shouldn’t cause you any trouble during your stay. In general you’ll find Montenegrins extremely hospitable, welcoming and eager to please. If you book a trip that takes you to a local’s home (like a gastronomy tour) you’ll see exactly what I mean. You’ll come away with a full belly and a warm glow. My advice on your holiday is to ignore the quirks and enjoy the fabulous food, weather and scenery. You’re coming to a relatively new destination, before it’s really ‘on the map’ (and tourist-jaded). Think of your trip as a bit of an adventure and you’ll be sure to have an unforgettable vacation and a few stories to regale your friends and family with when you get home! Still got some questions about Montenegro tourism? Check out our FAQ section and while you’re at it, why not sign up for our newsletter and get our Montenegrin holiday planning guide which will make booking your holiday in Montenegro a breeze. 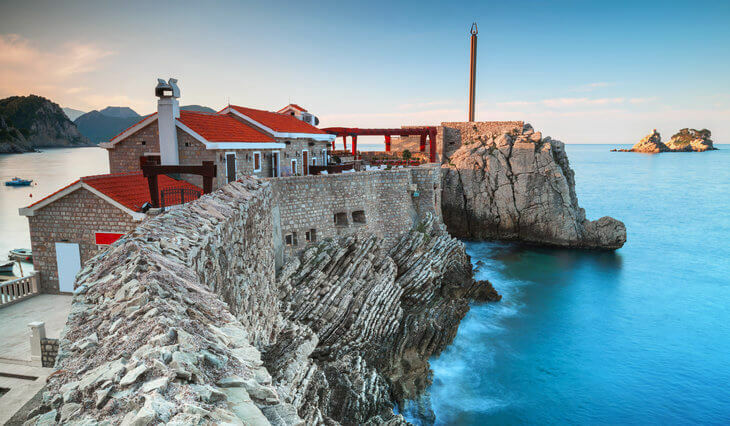 Montenegro tourism is off to an exciting start and it's exciting to watch it grow and develop into a fully-fledged destination. Whether or not Montenegro will become 'the new Monaco', we'll have to wait and see. But really, the world doesn't need another Monaco... personally, I'd love to see Montenegro just become the best version of itself. It's already got it all in its raw form. All it needs is a little polish!